And here’s that wacky crackhead trying to sing her own hit last night. 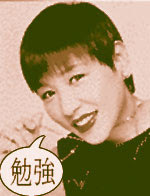 Happy 58th birthday to Japan’s favorite Korean-born singer, Akiko Wada! We love the many countries you call home, the fact that you are the voice of Koopa in Super Mario Bros., and your incredible ability to rock such a sweeeeeeet haircut (it takes a good face). Let the rest of your year be like a pretty song. 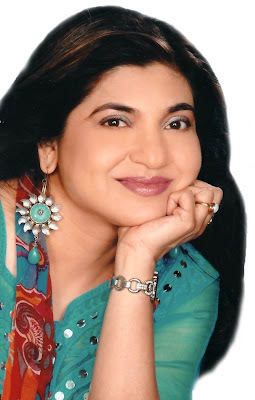 Happy 42nd birthday to Bollywood legend Alka Yagnik! May you hear only beautiful songs on your special day. Sure, you could argue that the UK’s new golden boy David Jordan has an unhealthy appreciation for Justin Timberlake’s pops and Lenny Kravitz’s locks… but hell, my friend jRu and I love a pretty guy that can sing, dance, and remind us more of Prince than anyone right now besides, well, Prince. Set the mood with his funky new album (entitled: “Set the Mood”–get it?) or just see more Jordan here. Happy 36th birthday to hottie Japanese singer Ken Hirai! Looks like that Anti-Asian cream works for both sexes, cuz you don’t look a day over 19, baby.